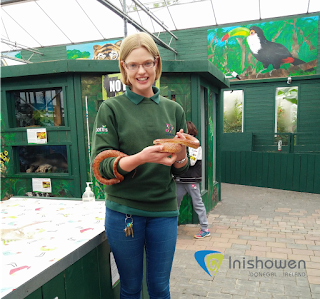 Tanya Jacob, Head Keeper at Tropical World has an opportunity on a daily basis to engage with a range of interesting wildlife. Tanya describes her daily routine starting with "In the morning I walk around the grounds and make sure all the animals are alright, go to the kitchen and prepare food for feeding, where staff meet and take charge of a section. Pens are then cleaned out and at 12.30pm I prepare a handling session for visitors. Next step is to give snacks to the animals followed by some more cleaning. You will gain the sense that this role is demanding and rewarding but is very much a team effort. I was slightly envious when I learnt about "enrichment". Tanya describes it as "the most interesting and fun part of the day”. 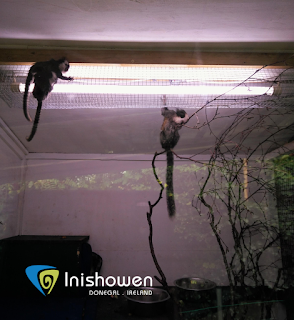 Enrichment is a term used to describe a process to engage with and challenge animals so as Tanya explains "they don’t get bored", “they are like our family we take the time to look after them and entertain them”. Following enrichment, at 3.30pm there is the final handling session, and the process begins to “settle animals down for the night followed by a final check and where possible squeeze in paperwork”. During your visit you get the chance to handle some of the wonderful creatures at Tropical World. 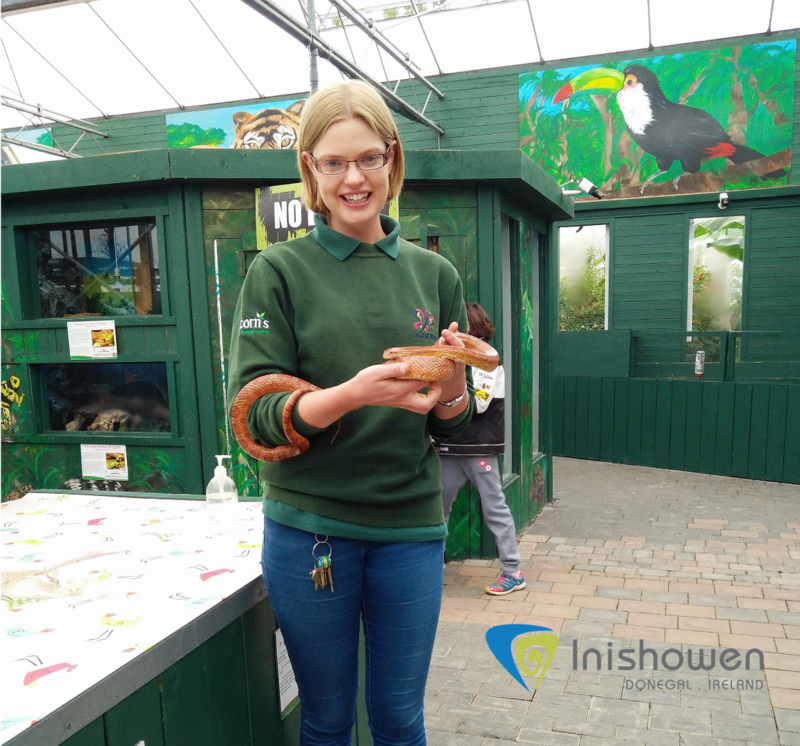 Pictured above, is the beautiful corn snake, Sarah, a breed native from North America. Feeling slightly nervous, Tanya gently places Sarah around my neck, immediately you will notice how smooth she feels, not at all like some dramatic movie references of snakes being slimy to touch. Meanwhile Tanya discusses the breed of snake, its habitat and diet. A crowd has gathered and I carefully hand Sarah back. I then asked the tough question: what is your favourite animal? 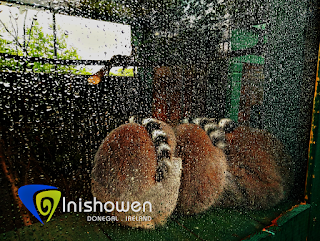 Pausing for a second Tanya replies: “We love all the animals but a personal favourite is Rickey the Racoon, pictured above huddled with his family, "he was one of the first animals we had and he is a real pet”. On your visit you will notice animals have been assigned quirky and fun names e.g. Snowy the Barn Owl and Gordon the Great Grey Owl. Another little gift to the Zoo last Christmas was a baby geoffrey marmoset appropriately called Nicholas. Your heart will melt when you see this little family of marmosets, pictured above. Like most family's they have their little arguments. I was told by Lewis Alcorn (who works at Tropical World) "the mother would carefully carry her young around her neck and when it was the fathers turn he roughly throws them onto his back, causing them to squeal. The mother then shouts at him and takes them back" Initially I thought this mean, but Lewis reassures me that "its the fathers trick to get the afternoon off" and that "working here you get to understand the personalities of each animal, for which there are many”. 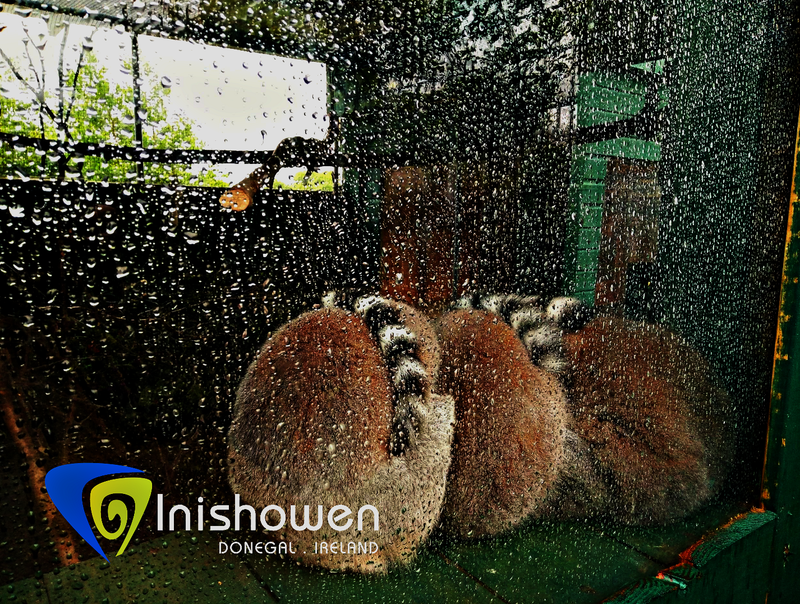 Tropical World: "A Place for all the Family"
Aside from the buzz you will get from engaging with wildlife, tropical world is 70% undercover, which is perfect for those occasional rainy days in Donegal. 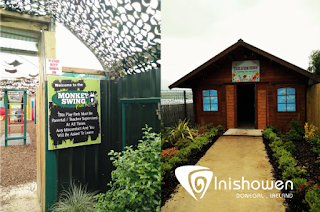 You will notice that there are lots of safe and fun areas for children to roam; from a large padded play area, pictured above, monkey swing play area and dens to explore and discover. 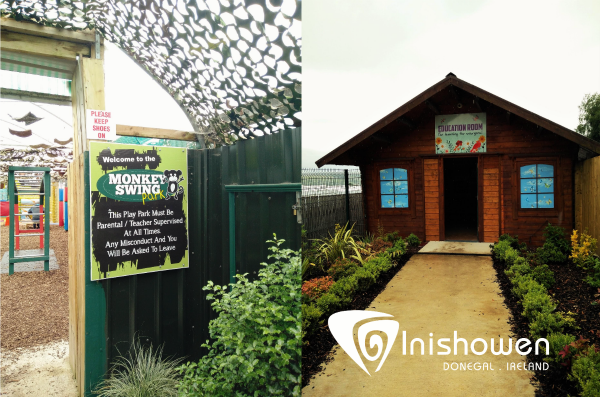 On site you will notice picnic areas both inside and outside, gift shop, restaurant and refreshment area. 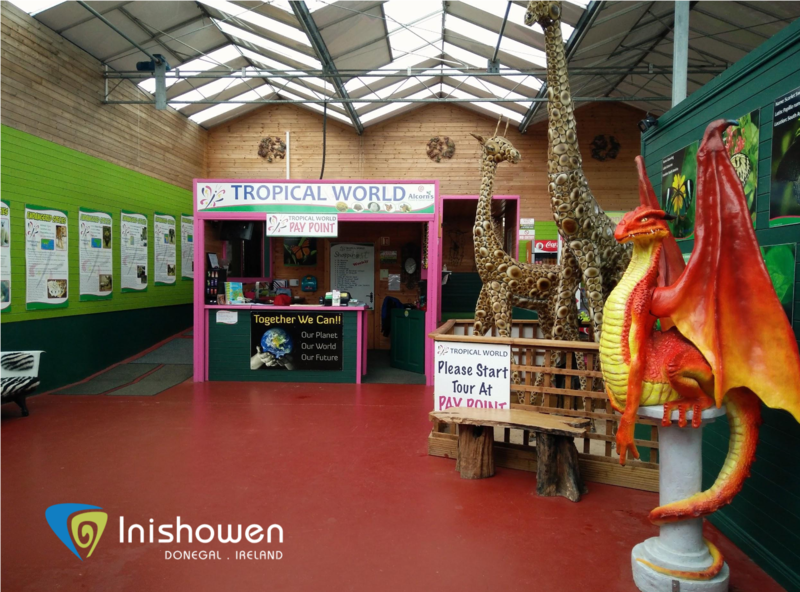 During your visit you will notice that Tropical World is a diverse and engaging environment where you can have fun while you learn.